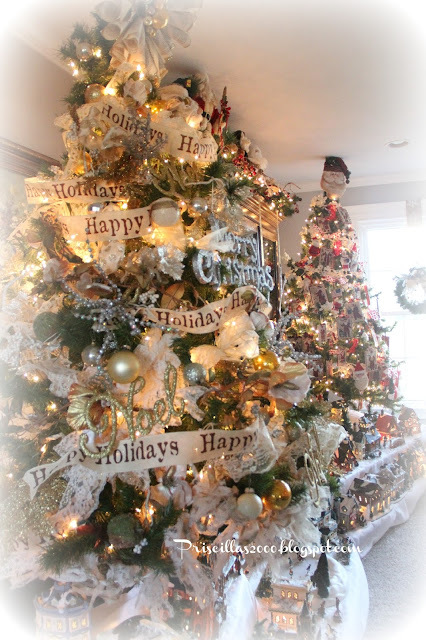 I hope all of you have a wonderful day filled with family ..friends and memories! 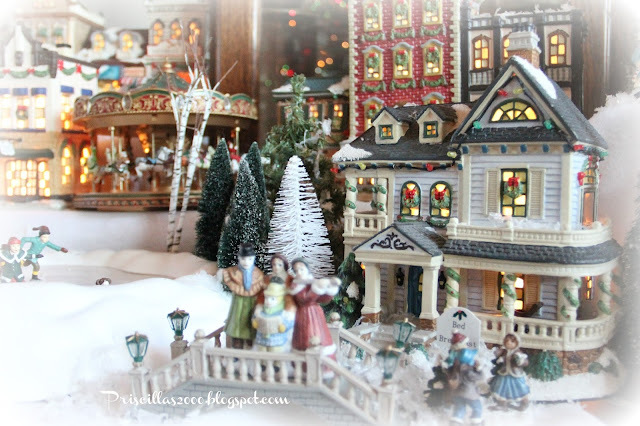 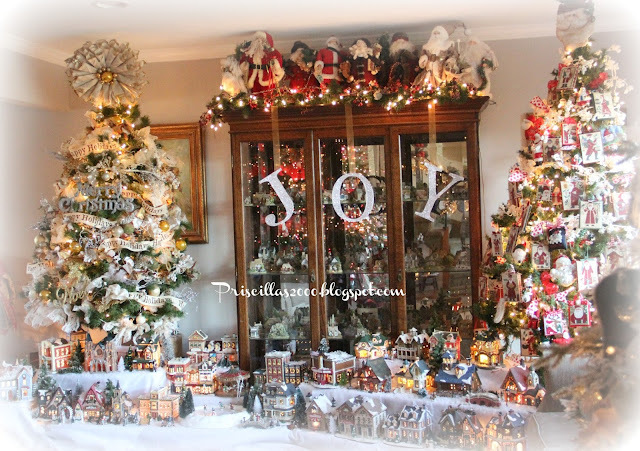 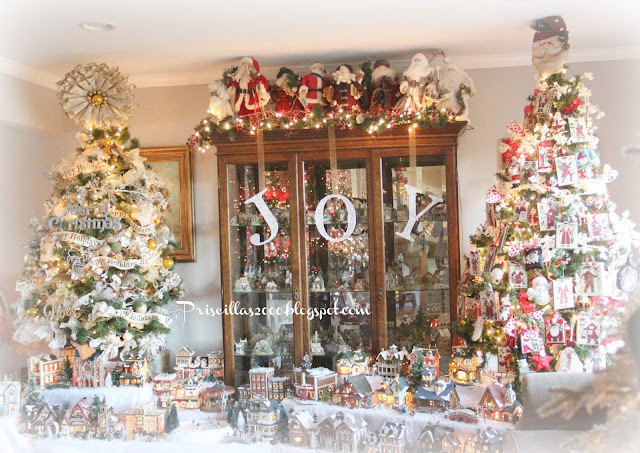 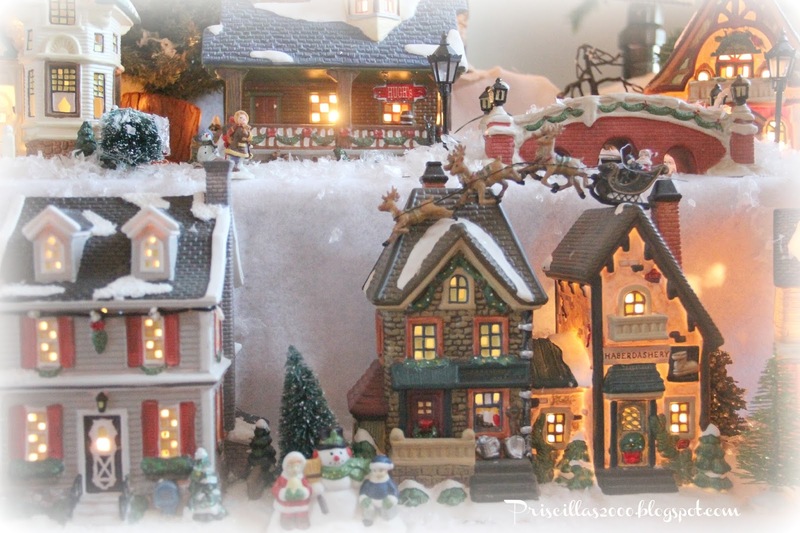 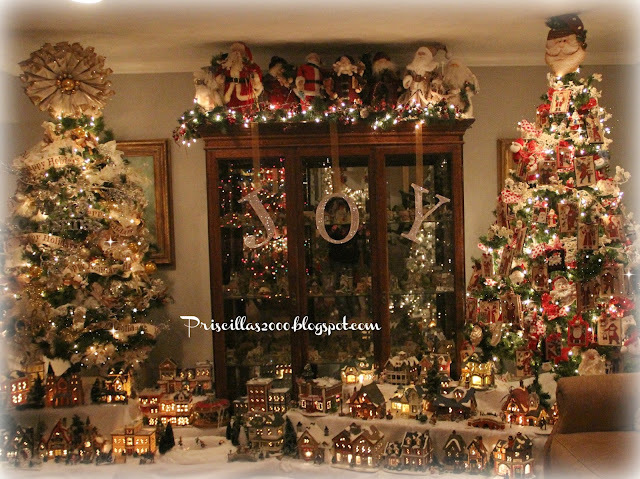 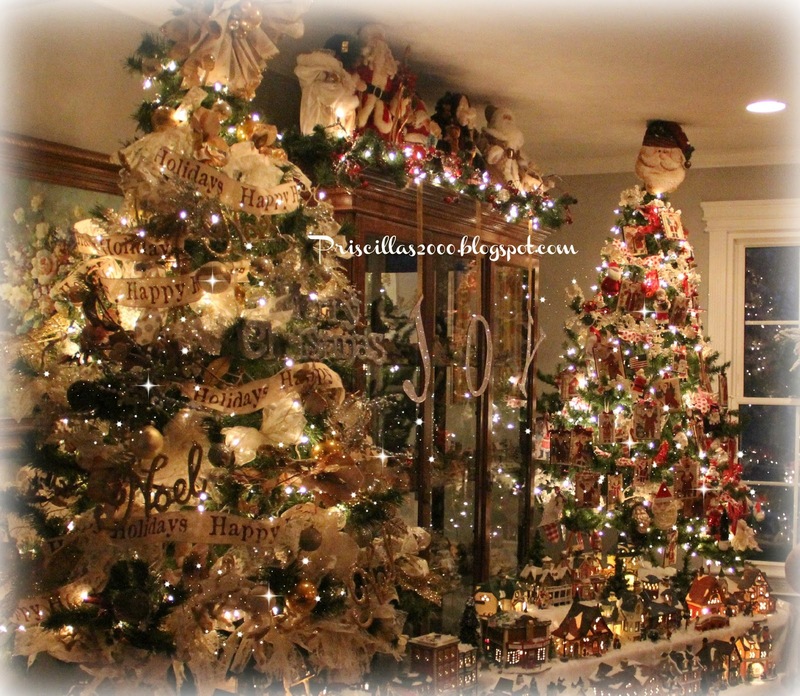 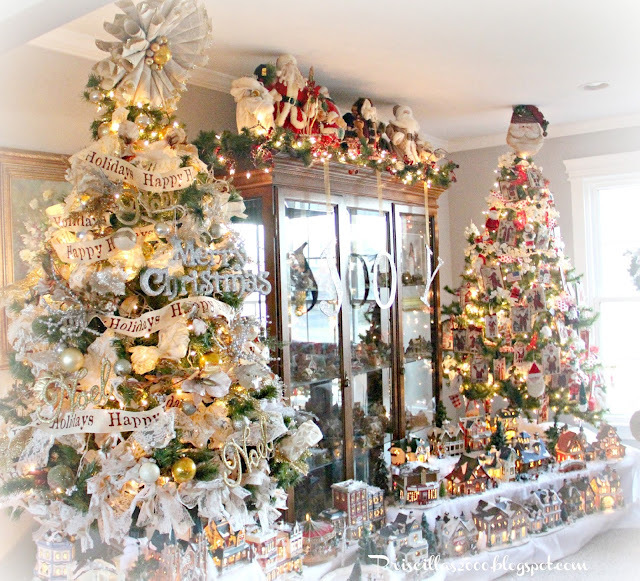 Since my husbnad is going to be starting the Christmas village this morning ..I thought I would take you on a stroll through last years Christmas Village! Its time for the Christmas Village! The village surrounds 2 of the trees in the living again this year.. Those trees are elevated on top of the storage bins that The Christmas decorations come out of. 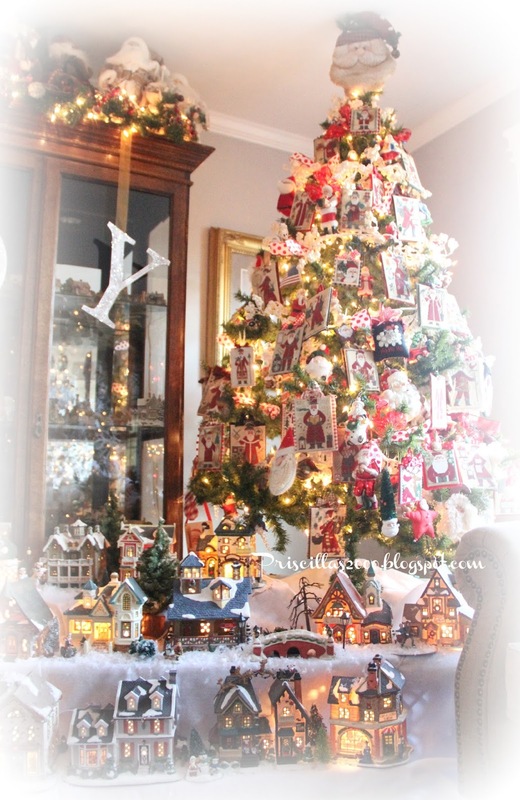 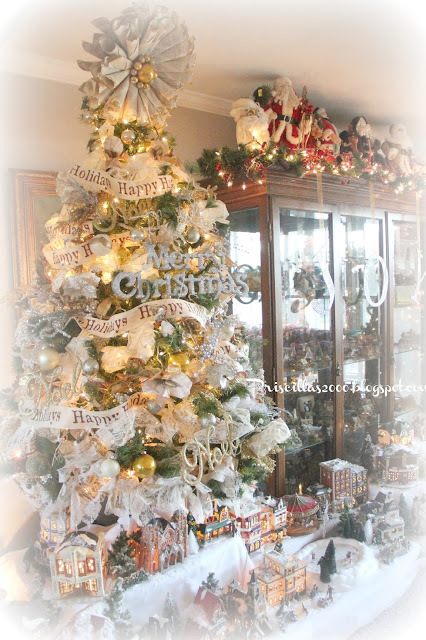 This is the 6th tree in the parade of trees..It is all decorted in cream, gold and silver.. there is a diy bookpage tree topper.. 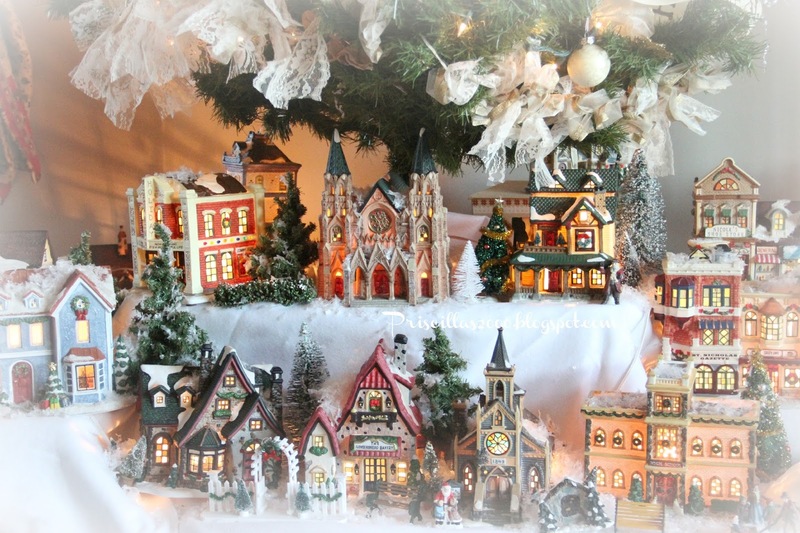 The other tree is the Santa Tree that the village surrounds.. 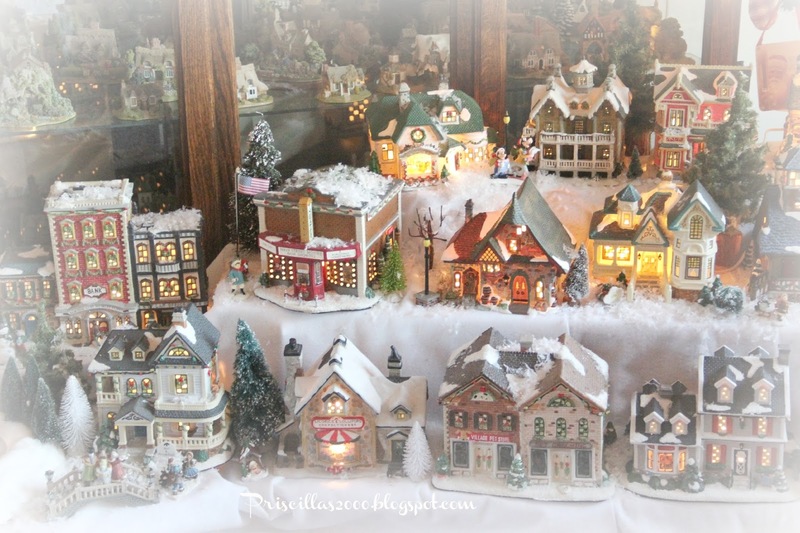 This is my husbands creation.. he sets up the village every year..
all is well in the village.. skaters are skating..the merry go round is spinning..
and Santa and his reindeer are on the rooftops..